Charlotte hosts or teachers at some amazing Retreats in France & elsewhere. This year Charlotte hosts & teaches at various yoga retreats in Bourgogne, Bandol, the Ardèche, Cap Breton & where the inspiration takes her. Read on for more information..
Charlotte has created a 200 & 300hour Teacher Training Programmes. ShivaShakti – the Foundations of a Fluid Practice 200 hour TTC & Advanced Fluid Practice 300 hous TTC – after a successful first year we continue the adventure in 2018/19 with Guest teachers Cécile Roubaud (yin) & Margerie Veron (anatomy). Charlotte has also integrated a 300 hour TTC based on taking the 200 hour TTC and an additional part that is retreat and module based. 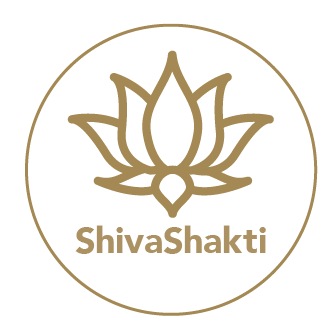 For information consult the ShivaShakti site & contact Charlotte directly…. Un weekend sur l’élément du feu et le chakra de transformation, Manipura. Plus de détails à suivre. A weekend celebrating the fire energy of our vital strength and the Manipura chakra, chakra of transformation! Un weekend qui tourne autour de l’akasha, l’air et l’espace et les chakras du coeur, de la gorge, du troisième oeil. Plus de détails à suivre. A weekend to celebrate space, Akasha. Air, space and the chakras of the heart, the throat and the third eye centre. Un weekend d’équilibre hormonal (pour le femmes) inspiré du Hormone Yoga de Dinah Rodrigues. Inner hormonal balancing for women – based on the Hormone Yoga teachings of Dinah Rodrigues. Charlotte organises a variety of retreats in conjunction with Pure Experience, the Tigre Yoga Studios & Spa, the Yoga Journal France and as part of her teacher training programmes. Retreats are a beautiful moments to rejoice in the true art of living yoga! Four Full Moon yoga in the Yuhrt sessions are planned for this Winter season. 21st January, 19th February and 19th April. They are held at Au Bout du Monde and pre-booking is essential with Charlotte (please text at : 0603106395) as there are only 12 places available. Rdv Manchet Valley Car Park at 18h45, start of the session at 19h15 in the Yuhrt. We finish at 20h45 and walk back in the light of the moon….. Pure Experience have been organising this retreat now for a few years and it never fails to wow. The place is amazing, the food is incredible and the yoga and running well what can I say! In an old basque villa right on the coast enjoy early morning running (all levels), yoga morning and evening and healthy cuisine workshops! Book your place now! Celebrating the sacred feminine – a beautiful weekend to celebrate the Goddess within (open to all). We journey with Bhumi for her stability, Saraswati for her creative fluidity, Durga for her force and strength, Kali for her fierce wild side, Lakshmi for her abundance, Rati for her sensuality. Information on bookings to follow shortly with the Yoga Journal. Charlotte is an advocate of a fresh outlook to life and has chosen a lifestyle of sport, outdoor healthy living and eating and a very healthy dose of FUN! Her yoga is fun, real, fluid, theme based, thoughtful & a mix of her prana flow, hatha, yin & ashtanga backgrounds. It combines her personal practices & beliefs and her method of teaching – ShivaShakti school of yoga, harnessing power & refining light. Her yoga retreats & holidays are a moment to share, of true passions uniting with nature, of meeting people, of cleansing body & soul, of laughter…..
Come and join her dive into this fresh and unique approach to your yoga practice …..
Find your level, start, develop, nourish…. but above all practise & take the plunge!